Efficiency Maine has designated the state’s most experienced contractors and energy professionals that install energy efficient equipment as Qualified Partners – and Gelinas just happens to be one of them! 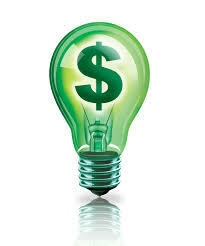 As a Qualified Partner, we can consult with you on the multitude of energy efficient products available for your project that are eligible for cash incentives and rebates from Efficiency Maine. These incentives are not just for residential customers – we don’t want to leave out their programs included in their Commercial and Industrial Prescriptive Incentive Program. When a Qualified Partner installs any of the thousands of approved products that help a business or organization use energy more efficiently, the incentives will significantly reduce the cost of the project. Qualifying organizations include profit and non-profit, manufacturing or industrial facilities, educational and municipalities, and even multi-family buildings with five or more units are eligible for this program! Single family and multi-family buildings of 4 units or less qualify for programs within Efficiency Maine’s Residential Program. This is a really great program for businesses and organizations! Gelinas, as a Qualified Partner, can work with you to determine eligibility requirements, help complete the paperwork, and schedule the right time periods to upgrade your facility. Give us a call TODAY at so we can help you save BIG on your project at your business or organization!